Huayi Brothers Media Corp, a major factor in the rise of some of China's most popular film celebrities like director Feng Xiaogang and actress Li Bingbing, recently announced plans to expand its influence among television viewers. As part of the plans, the Beijing-based company released a lineup, collectively titled I Project, to produce 19 series, nine online movies and three variety shows. Wang Zhonglei, CEO of Huayi Brothers, says that though movies are the company's core and most mature business, they will adapt some of its most successful movies, such as Assembly (2007), Personal Tailor (2013) and Mr Six (2015), to the series format - to be aired online or via TV channels. Also, besides adapting the Huayi productions for the small screen, the company is seeking inspiration from the rest of the world for its TV plans. The Drops of God, a popular Japanese manga series, is one such example. The story is about a famous wine critic's son and his adopted brother. Co-created by the sister-brother duo, Yuko and Shin Kibayashi, the series is like an encyclopaedia on red wine. 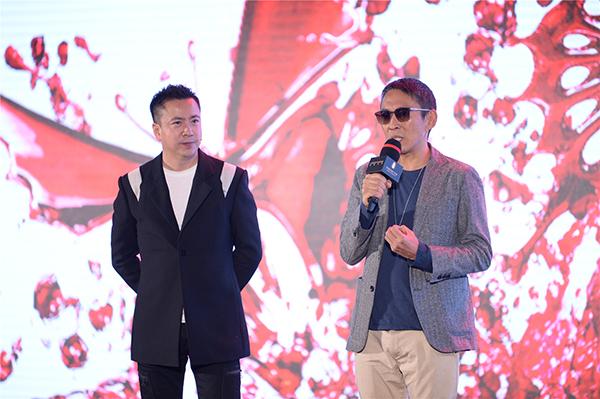 Wang, who says wine tasting is his hobby, purchased the animated work's copyright from the Japanese, and invited Taiwan director Doze Niu to adapt it into a Chinese live-action series. Niu, best known for the 2009 youth action movie Monga, says he is thrilled. Niu, also a lover of red wine, toured wine production areas in Europe to interview winemakers. He says the research has broadened his knowledge about wine.